The LG 34UC88-B delivers an immersive viewing experience with its curved ultra-wide display that boasts 3440×1440 screen resolution and an IPS panel with 10-bit color support. It features an attractively thin bezel design with height adjustment and extensive connectivity options. Moreover, it comes with a plethora of useful and exclusive features including AMD FreeSync for smooth gameplay without screen tearing. The huge 34-inch display with 1800R curvature allows you to fully immerse yourself into the content on the screen no matter whether you’re playing video games, watching movies, or working. Thanks to its UWQHD screen resolution of 3440×1440 pixels and adequate screen size, the pixel density of 109 pixels per inch allows for plenty of screen real estate as well as maximum detail. The AH-IPS panel supports 10-bit color through dithering (8-bit + FRC) and covers over 99% of the sRGB color gamut. Grayscale, brightness and color uniformity showed top-level results. Furthermore, there is no backlight bleeding noticeable in the usual viewing conditions. The colors are consistent and accurate; moreover, they don’t shift when viewed from different angles due to the impeccable 178-degree viewing angles. 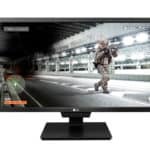 The LG 34UC88 IPS monitor works best when connected to an AMD FreeSync compatible graphics card. FreeSync allows you to synchronize the refresh rate of the LG 34UC88 display to the graphics card’s frame rate. Consequently, there’s no screen tearing and stuttering, and input lag is reduced. 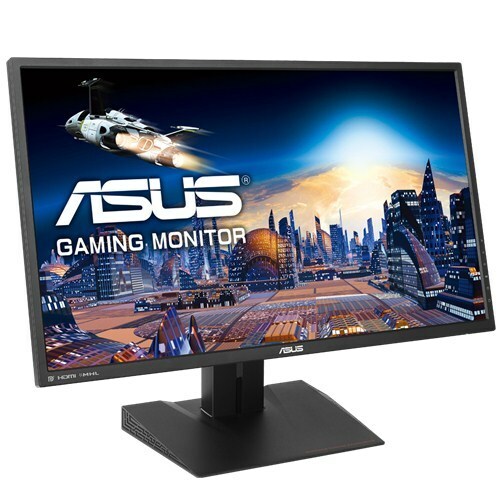 You can use the monitor with a Nvidia graphics card too, but you won’t be able to benefit from the dynamic refresh rate. With FreeSync enabled, you automatically increase the maximum refresh rate to 75Hz. The LG 34UC88 FreeSync range is 48-75Hz, but it can be further modified via the custom resolution utility. Even if you don’t have a FreeSync compatible graphics card, the performance in video games is fluid due to the low input lag and quick 5ms response time speed that effectively eliminates ghosting of the fast moving objects. The LG 34UC88 PC monitor comes with the On-Screen Control software which allows you to adjust all of the OSD (On-Screen Display) settings in a desktop application. The same settings can also be adjusted in the user-friendly OSD menu via the intuitive joystick placed beneath the screen. ScreenSplit is an additional software which allows you to split the screen into different layouts, in which you can easily snap an application to a part of the screen. In short, it’s a lifesaver for multitasking. Other features include the 6-axis color adjustment, Picture by Picture mode, and the Black Stabilizer feature which increases visibility in the dark-themed video games and movies. You can also apply numerous pre-calibrated picture presets optimized for different scenarios by selecting them in the OSD. In the On-Screen Control, you can adjust these presets to automatically activate when you enter a certain application. These picture presets include Reader, Photo, Cinema, Dark Room, Color Weakness, two FPS game modes, RTS game, and two additional custom modes. The reader mode along with the flicker-free screen of the LG 34UC88 ensure maximum comfort while reading in the late hours. Gaming modes feature customizable parameters for the response time speed and the black stabilizer feature. The latter increases brightness in the dark parts of video games while the former can reduce ghosting and blurring in fast-paced video games. The LG 34UC88 design consists of a gorgeous glossy black cabinet with thin bezels and matte screen surface with anti-glare treatment. The monitor is VESA mount compatible and it can be height adjusted by 120 mm and tilted by -5, 20 degrees. Connector ports are as follows: two HDMI 2.0, a DisplayPort 1.2, two downstream USB 3.0 ports (one with quick charging), an audio line-out for the headphones, and an audio line-in for the 2×7 built-in Maxx Audio speakers. The DisplayPort needs to be enabled in the OSD settings; the same goes for the quick charging feature. Once you enable the quick charging, the USB port will be charge-only. So, if you connect a keyboard or a mouse afterward, remember to disable the quick charging as it disables data transfer. 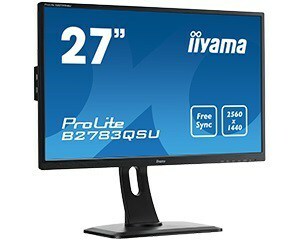 The LG 34UC88 price usually amounts to around $700, but it’s currently unavailable (August 2017). 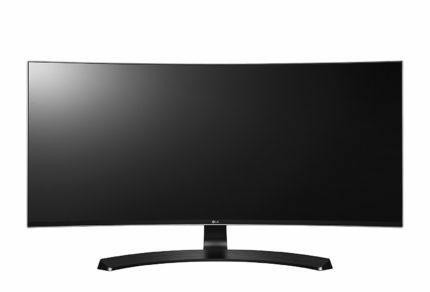 It also goes by the name LG 34CB88-P; essentially the same monitor, currently available for $711. 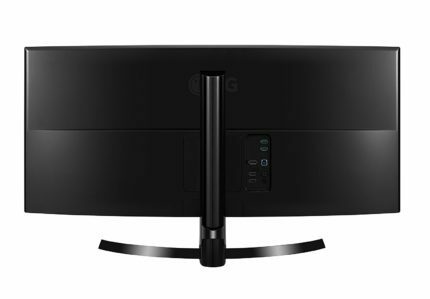 The same model is available with a flat screen instead of curved, the LG 34UM88C-P; This monitor is also available with the ThunderBolt port, the LG 34UM88-P. Also, the monitor is also available in a smaller 29-inch size with 2560×1080 resolution, the LG 29UC88-B. There’s a newer model of the LG 34UC88 as well, dubbed as the LG 34UC98 with two ThunderBolt 2.0 ports, though it’s considerably more expensive at $950 price mark. Dell also has excellent rivaling ultra-wide counterparts, the Dell U3415W and the Dell U3417W. The former features a more subtle 3800R curvature while the Dell U3417W has a steeper 1900R. They’re both priced at $740 and have a stunning design and image quality, but no FreeSync technology. If you’re looking for a UWQHD gaming monitor with higher refresh rate and Nvidia G-Sync, look no further than the Acer Predator Z35P. Video games take you to a whole new level once you experience them in the ultra-wide resolution. Gameplay is smooth thanks to the quick response time and excellent input lag performance, especially with FreeSync. Lastly, the eye-catching and versatile design makes the LG 34UC88 a nice addition to any desk that has enough free space for it. The LG 34UC88 is a decent monitor that delivers great performance and an UltraWide viewing experience. The design is the best thing about this monitor, definitely.